Drape yourself in bold beading. Large multifaceted disks paired with delicate cut crystals are the perfect balance of strength and shine. 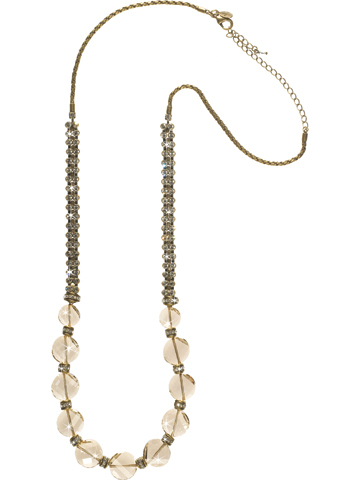 The versatility of this necklace will see you through the whole season.